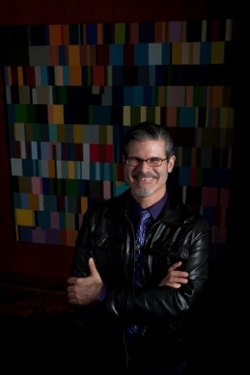 Roberto Tejada is author of the poetry collections Full Foreground (Arizona, 2012), Exposition Park (Wesleyan, 2010), and Mirrors for Gold (Krupskaya, 2006). A translator, editor, essayist, photography historian, and critic, his multifaceted cultural studies and creative activities have been recognized with numerous fellowships and grants including awards from the National Endowment for the Arts, the Fulbright Foundation, Creative Capital Warhol Foundation, Fundação Armando Alvares Penteado (São Paulo, Brazil), as well as The Sterling and Francine Clark Art Institute and the Oakley Center for the Humanities and Social Sciences, Williams College. Tejada lived in Mexico City (1987-1997) where he worked as an editor of Vuelta magazine, the cultural monthly published by the late Nobel laureate Octavio Paz, and as executive editor of Artes de México, a quarterly detailing pre-conquest to contemporary Mexican art. He founded the multi-lingual literary journal Mandorla: New Writing from the Americas. Co-edited with Kristin Dykstra and Gabriel Bernal Granados, the publication has featured innovative writing in its original language—most commonly English or Spanish—and high-quality translations of existing material, together with visual art and other forms of critical inquiry. He has taught at the National Autonomous University of Mexico (UNAM), Dartmouth College, University of California San Diego, University of Texas Austin, SMU Meadows School of the Arts, Naropa University’s Summer Writing Program, and the Milton Avery Graduate School of the Arts at Bard College. Committed to conversation whereby culture and poetics enliven sites of inquiry—regional, transnational, and diasporic—Tejada’s research and creative interests involve the language arts and image worlds of Latin America, especially Mexico and Brazil, the U.S.-Mexico Borderlands, and other sites of U.S. Latina/o cultural production. Mandorla: New Writing of the Americas [journal], Vol. 1-6, 1991-1998; Vol. 7-16, co-edited with Kristin Dykstra, and Gabriel Bernal Granados, 2007¬–.